Hey guys, DJI Grace here! Today and for the days coming up, I’d like to share with you a series of threads designed to be a comprehensive manual for DJI GO 4. I&apos;m hoping these help you during your flights since there isn’t currently a guide like this from us. 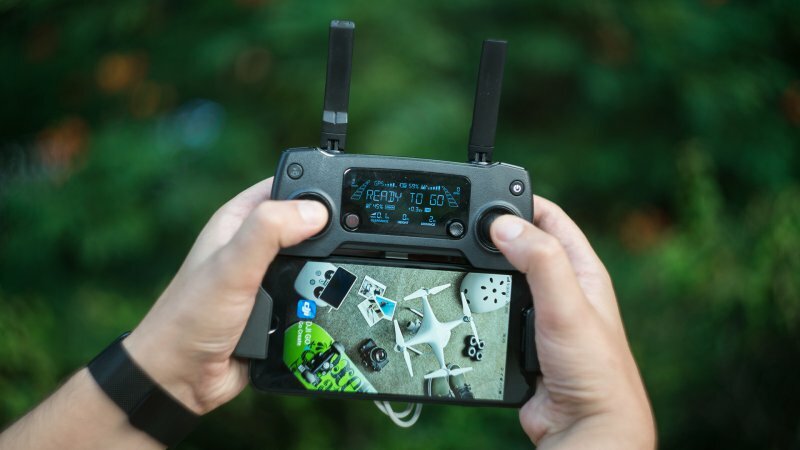 This DJI Go 4 manual will cover the various settings and functions within the DJI GO 4 app for drone operation which can be used as a standalone remote controller for the Spark and Mavic Pro or in conjunction with a remote controller for the Phantom 4 Series, Inspire 2 and the Spark and Mavic. Overall, the app is the gateway to your drone’s settings, so it’s important to understand how the settings work and what they do. Note this DJI Go 4 manual is focused around Phantom 4 Pro, Mavic, Spark and Inspire 2. Due to different functions of the aircraft some of the screenshots of DJI Go 4 show settings that are available to only certain drones. To save prevent any confusion the aircraft dependent settings are tagged with the aircraft’s name. You will spend most of your time here when flying your drone as this is your drone’s view of the area in front of it. The icons around the side of the screen will take you to different settings when tapped. System Status: This icon indicates aircraft flight status and displays various warning messages. Obstacle Detection Status: Red bars are displayed when obstacle are close to the aircraft. Orange bars are displayed when obstacles are in detection range. Battery Level Indicator: The battery level indicator provides a dynamic display of the battery level. The coloured zones on the battery level indicator represent the power levels needed to carry out different functions. GPS Signal Strength: Show the current number of connected GPS satellites. The white bar indicates adequate GPS signal. Wi-Fi Settings: Tap to enter Wi-Fi settings. 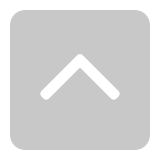 Photo/Video Toggle: Tap to switch between photo and video recording modes. Shoot/Record Button: Tap to start shooting photos or recording video. Playback: tap to enter the Playback page and preview the photos and videos as soon as they are captured. 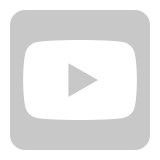 Back: Tap this icon to return to the main menu. When you enter camera mode this bar will be one of three colours red, yellow or green. If the bar is green then it means you have a strong GPS connection and it is safe to fly. If it is yellow then it means to fly with caution as the drone may be in ATTI mode meaning it doesn’t have enough GPS signal to maintain a stable position. Finally, if the bar is red it means the drone can’t fly and it will prompt you to take action to fix this situation. Compass: This lets the drone know where it is and sometimes needs to be recalibrated when you fly from a new location. Pay attention to this as the compass can very easily be disrupted by electromagnetic interference. IMU (Inertia Measurement Unit): Basically this is a barometer and a gyroscope used by the drone to see its attitude and angle when flying. If DJI Go 4 prompts you to recalibrate it, follow the onscreen instructions. ESC (Electronic Speed Control) Status: This will tell you if there is a problem with your motors. If you see a warning try resetting your drone, if the warning won’t go away then you’ll need to send your drone in for repair. Vision Sensors: These are the sensors that check for obstacles when you’re flying. It is strongly recommended that you keep these turned on at all times. Obstacle Detection Status: This is a visual warning that pops up on your screen when your drone detects that it is close to an obstacle. This shows you how much power your battery has left. The line gets shorter as the battery power is depleted. The first dot on the left is when the drone will automatically land due to low power. The second dot is when the app will try to activate RTH unless you stop it. The yellow H represent your home point and moves along the line to show how much power you will need to get your drone back home. Positioning mode (P-MODE): P Mode is when all the drones’ sensors are active, so the drone should always be stable. This is the safest mode to the fly the drone in as if you take your hands off the control sticks then the drone will automatically break and then hover in position. Attitude or ATTI mode (A-MODE): The aircraft will switch to ATTI mode if there is no GPS signal or it is weak and it is too dark for the Vision Systems to work. The aircraft will only maintain its altitude, but it will drift. Sport mode (S-Mode): In Sports Mode, your drone can fly at full speed while using GPS for positioning. However, the forward and downward vision systems will be disabled, so they aircraft won’t be able to sense and avoid obstacles. Last but not least Ground Station and Intelligent Flight functions are not available. So appreciated that this thread is helping you during your flights. In total there are nine sections of content as following, comprising the entire DJI GO 4 tutorial. In case some of you miss a thread, I will provide update notices here when I update a new one of the nine parts. Great job dji Grace, do you think we might get a manual explaining some of the warning pop ups. I.E. speed error yaw error and so many more that users are left to their own devices to figure out? Keep up the good work you are doing a great job. An excellent post, thank you for doing this. Very good. There i a possibility to share an PDF file of the manual? +,1 thanks! Really useful guide to get more familiarized with the app. After reading some of the posts here this is not only good for neubies. I almost want to say: finally! after all the content related are updated, i will make them into PDF for you guys then you can save them and look through them whenever and wherever. That will be great! Thanks so much! Honestly, I think that is definitely great idea! I totally got what you mean and your desire. there is "REGIONAL" section on our forum, and I know not so many people talk or discuss there. We are improving on that, please don&apos;t be worried. As for the tutorials, you could create a thread or poll to appeal our users on the forum, we may choose the top three language to provide alternative copies? Is this will be ok? If you have any good ideas, just freely to contact me. So appreciated that this thread help you during flying. 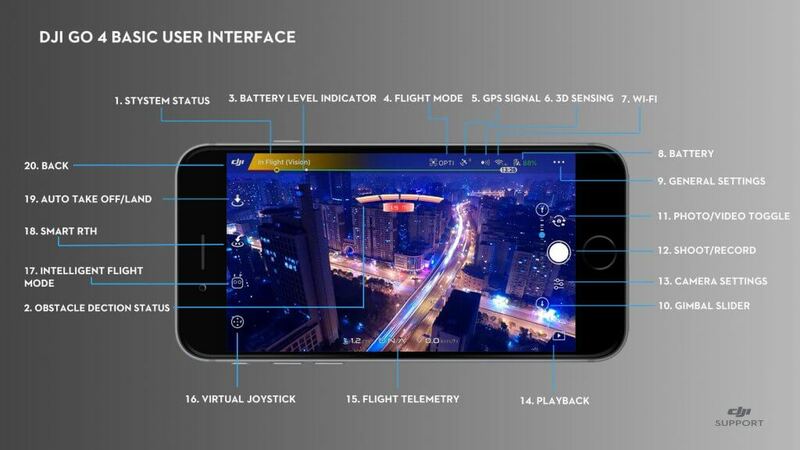 There are totally nine contents as following, making up the whole tutorial about DJI GO 4.
being updated ("The ones without underline means updating). Thank you for your reply and I have updated 4. You can click on the link in my top reply! I updated a new one, the fifth part of it. just click and check. Please make these into downloadable PDF&apos;s that can be brought on our Phones on "the fly"
Mahalo for the great job! My apologies for not posting this "Mahalo Nui Loa!" sooner, but I have been reading your work. I look at it and suddenly, I am out of time! This is a very helpful format because the links allow you to get your specific information without looking for so long. The .pdf format will allow us to use it on the "fly" as they say. Thanks Grace, keep the good info you posted coming it&apos;s useful. THIS is exactly the stuff we need to see, and this definitely fills a need and gaps in DJI product support. Thank You! Reasonable, helpful tools to have available so thanks. thank you for your support and very glad you like it! Thank you for your hard work, excellent guide! Thanks. Now all we need is the PDF version. Hint....Hint. Accounting for the future changes is what will drive you crazy. How do I change the user logged into the program / ap? If someone else wants to use their account on my device. How do I go about logout? You can log out DJI GO from here: Me>Settings(the right upper corner)>Sign out. Thanks Susan, I couldn&apos;t see the flower icon top right corner but I do now. Where can I download previous versions of the DJI GO ap for droid?